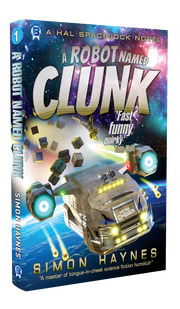 Clunk, a clapped-out robot, is convinced he's about to be junked. Instead, his penny-pinching boss is sending him off to be refurbished. Being old and wise, Clunk knows there's a catch, but at first it doesn't seem too bad. He just has to help a freelancer pick up some cargo. Unfortunately, Hal Spacejock - the freelancer - is obstinate, over-confident, and woefully under-skilled, and he's never going to let a lowly robot fly his precious ship. Is there any chance this pair of misfits can lift off, collect the cargo and deliver it in one piece? Or will they fly straight into the nearest star, still bickering and fighting over the controls? 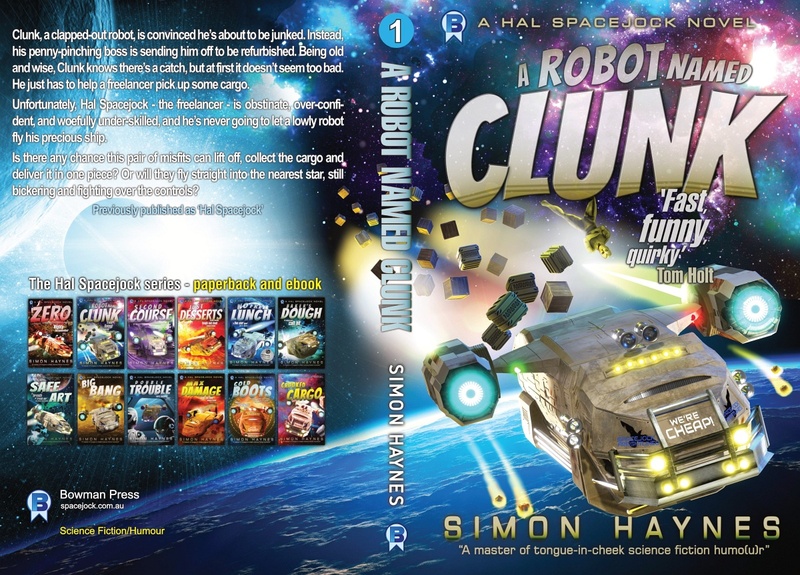 Sign up for my newsletter and get the ebook of A Robot Named Clunk (Hal Spacejock #1) FREE! These novels are standalones, not sequels. 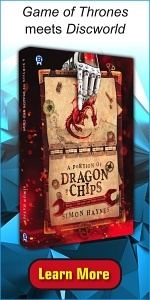 No cliffhangers at the end! Last modified March 13, 2019. Hosted by iiNet.